HOW I GOT THIS BOOK: A colleague recommended this book highly and lent me her ‘eReader’ for my reading. Wish you were here is a novel that is, at best, practical. That much cannot be said for many books these days. Much like the protagonist of the novel, Alice Archer, the story starts plainly enough, but then manages to dazzle as it progresses. Plain old Alice Archer has a full time day job, where men never notice her, and a house on rent that is big enough for one person. Alice also has a sister, Stella, who is her exact anti theses. Alice is plain, frugal and responsible. Stella is gorgeous, carefree and spends a lot. When Stella breaks up with a boyfriend, he leaves with her the tickets for a weeklong vacation in the island of Kethos in Greece. She invites her sister for the sake of company and Alice is glad for the change of scenery. In the island, she stumbles upon a beautiful villa where the gardener is a handsome hunk. She soon engages in holiday romance without knowing the secret the handsome hunk was hiding. They enjoy a whirlwind of romance but due to a twist in circumstances, they are unable to meet each other and Alice suspects he has a family with a wife and few kids. In Greece, she does something for fun that makes her life turn about. At home Alice deals with the problems in the forefront. Namely, her sick father, selfish sister and men who have now started noticing her. 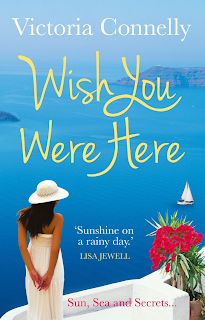 Once she gets back to England, Alice finds herself thinking with longing about Greece. And back in Greece, Milo is pining for her. Over the course of the next few months, Alice and Milo are unable to think of their own selves. A change of circumstances forces Alice to rethink her decision. She has had enough of the wish she made and decides to revoke it. But it means going back to Greece, and meeting Milo. How she manages to reclaim her life from the downward spiral and if or not Alice manages to settle in the love of her life forms the rest of the story. In the tale of love, family and life, the reader is taken on a roller coaster of two different locations, different people and totally contrasting lives. Praise must be given for the language and the humour of the whole book. It is filled with individual scenes that are noteworthy and some quite memorable. 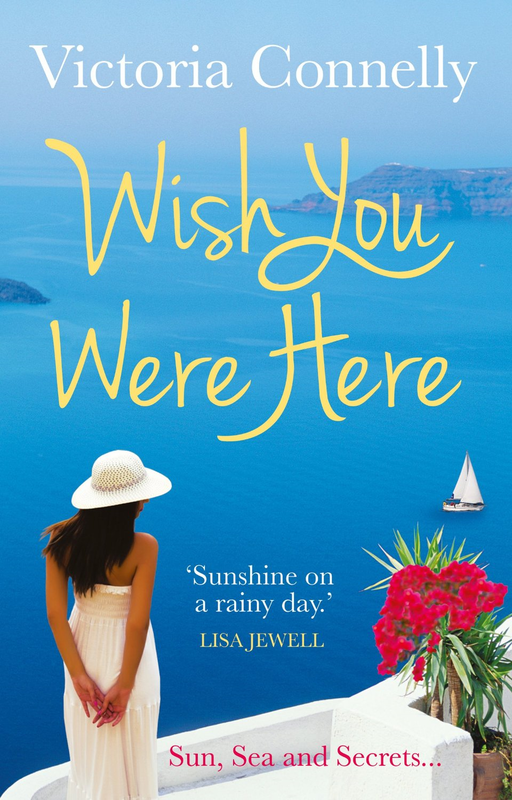 If the lead people are both wishing to each other, “Wish you were here”, the readers would wish at a few moments, “Wish I were there”. And this is one beautiful piece of work in that aspect. Though the book is a onetime read, there are a few worthy pieces to quote. Wish you were here is beautifully written, and is quite relatable. WHAT I LIKED: Good character sketch, nice location switch, and relatable story line, clear and concise language with no dreary descriptions. VERDICT: A perfectly content tale that does not disappoint. Victoria Connelly was brought up in Norfolk and studied English literature at Worcester University before becoming a teacher in North Yorkshire. After getting married in a medieval castle and living in London for eleven years, she moved to rural Suffolk with her artist husband and ever-increasing family of animals. She has had three novels published in Germany – the first of which was made into a film. EDITIONS AVAILABLE: Kindle, paperback, digital. HOW I GOT THIS BOOK: My partner in crime a.k.a my dear co-blogger Dhivya gave me a pile of books. Found this book in that pile. War and Love. The most fool proof recipe to sell a romance book.. It's obvious. There is nothing more romantic than a war separating two lovers and uniting them again. It's still romantic (May be morbidly!) if one of the lovers die during the war. Such is the story of this book. Set in the Hitler era when Jews were evicted from Germany and Inter- caste (Read Jew and Any caste) marriage was looked upon on as a crime, the book follows the journey of three generations on women. Women who were fragile yet bold. The daughter of a rich banker and the quite Jewish beauty, Beata falls in love with the handsome Count Antonine de vellard. Their parents cut them off and they are left to fend for themselves. They eventually have two beautiful daughters, Ameada and Daphne. Tragedy strikes when Antonine dies in a freak accident. Unable to bear the loss of the love of her life Beate loses her sense of emotions until the Nazi opression begins. The war unites Beata with her estranged mother. But the happiness lives only a short while, as her mother passes away and her father doesn't exactly forgive her and take her back. As time progresses, Beata's elder daughter decides to become a nun in spite of beata's staunch disapproval. She joins the famous caramel convent. While all Jews are being deported no one actually bothers to check Beata until one day one of her old maid recognizes her and calls her by her last name. This leads to the Nazis knocking her door and deporting her. The story of beata just stops abruptly with the deportation. Now begins the story of Ameada who leaves the convent for the sake of her fellow nun's safety because she is half Jew. She is caught mid way and sent to a camp from where she escapes to join the French Renaissance. What follows is how from being a nun, Ameada transforms to a fighter and falls in love. The writing conveys the emotions beautifully. It's a breezy read in the start but as the story progresses it kind of becomes heavy. But at some parts I felt like I was virtually reading the script of the movie “The sound of Music”. Also it felt like the writer was in a great hurry to kill off Beata. She didn't really bother to explain her exact fate. It seemed at little odd that the daughter wouldn't attempt to search for her mother and baby sister given that she had virtually raised her sister. Overall, it’s a real light read sans the suspense element. It’s a picture postcard kind of book. VERDICT: It's a read for that rainy day where you want to curl up and read a nice book with hot coffee. ABOUT THE AUTHOR: Danielle Steel is an American novelist who is currently the bestselling author alive and the fourth bestselling author of all time, with over 800 million copies sold. Based in California for most of her career, Steel has produced several books a year, often juggling up to five projects at once. All her novels have been bestsellers, including those issued in hardback. Her formula is fairly consistent, often involving rich families facing a crisis, threatened by dark elements such as jail, fraud, blackmail and suicide. Steel has also published children's fiction and poetry, as well as raising funds for the treatment of mental illness. Her books have been translated into 28 languages, with 22 adapted for television, including two that have received Golden Globe nominations. HOW I GOT THIS BOOK: The author sent us a copy for review. Most of the times it is really hard to come by a book that doesn’t involve all the critical elements required to make it a bestseller, but still becomes a book to treasure. ‘A Country for men’ is one such book. In the title, the author conveys the essence of the whole book in a single phrase containing four words. Yes, this is a book about how India has become (or always was and is) a country for men. It is time India woke up to the harsh and ugly side of the reality. Rohit has done a wondrous job in compiling the facts as such to present to the nation what it must have read by itself, already, over the years. But for most parts, the book proves to be a shocking narrative. Something about the way the author presents these facts is what makes me want to read this. Details previously written and unwritten in media previously, both visual and print, have been included in the book. The other side of every sensational story has been presented in a readable digest. This book is not something to cringe from. It is actually what every literate Indian must read, even if he/she has diligently followed the newspapers and expressed shock, regret (like one advocate general who has done in this book) where it was due. This book is sort of an inside story. Of what really happened. What you can read is not actually a collection of news articles or sensational press. The book is actually a detailed story of the families of the victims and the perpetrators. Of what happened and what led to these brutal incidents. They are shown for what they are. They are girls with aspirations, dreams, with intelligence, talents and as whole beings, not as items of sensation and piece of news in papers, forgotten as the week passed. 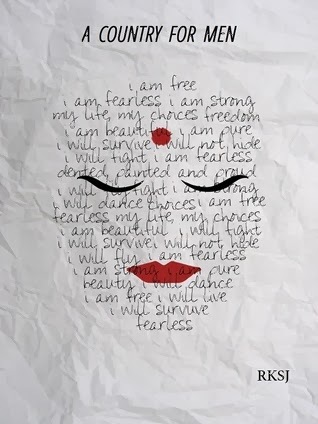 · “I wouldn’t mind if people would throw this book in the trash cans after reading but I will appeal everyone to spare just a moment to think about everything one just read”. WHAT I LIKED: The boldness of the author in touching a subject most people would shrink or shy away from. This book is a presentation of facts. For the first time in the history of the blog, I am not writing anything in this column. Its time India woke up to dealing with a mighty ugly monster. Classifying this book as a must read in the literary sense is difficult. But this is a book every man must read to protect the women of his family and respect other women as family. This is a book every woman must read to know that they are not alone in this fight, and there are ways to come out and be heard. But, again, the book is given a full 5/5, for the efforts of the author in bringing out something that most men feel queasy to even talk about. Rohit Kumar Singh Jadon (RKSJ) has always taken a keen interest in travelling and the questions about life, which are hard to answer. An engineer by profession and a writer by passion; after being in and out of many jobs his passion have taken over his profession and he is now totally driven towards writing. After the success of his first book, he has written a much bolder book. This book is all about the injustice the women of this country face every day. GENRE: Fiction/ Based on events. HOW I GOT THIS BOOK: On loan from a very friendly neighbour. Chetan has always been an author who knew the pulse of India’s youth. Like his previous offerings, this book too does not include any elements of fantasy, over the top action or unbelievable scenarios. Again, the protagonists are youth. And again, the author offers realistic story setting. 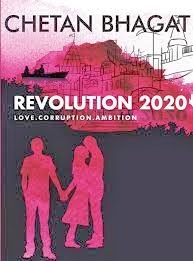 This story follows young Gopal (the narrator) who is brilliant but does not fare well in education, living with his widower father, who soon leaves him due to multiple disappointments, Raghav, a brilliant, righteous young man who has ambitions in politics, and Aarthi, who has a long lasting love on the way ward Gopal instead of the good guy. Being friends since kids, Gopal finds himself forced to the bad path due to a combination of circumstances. When he tries to be righteous, the world mocks him, and when he turns way ward, the world shuns him. But Gopal survives the hardships and becomes the young director of a college and university. He befriends all sorts of people but still nurses his love of Aarthi. Across all his troubles he still yearns for her. Meanwhile, brilliant boy Raghav gets into a good position, and a reputable job. While he too, is a good candidate to get the hand of the leading lady. What follows is a story of success, betrayal, politics, and ultimately, love. There is also sacrifice, belief, trust, intense emotions in a typical Indian youth drama. But individual details of the story should not be analysed. It should be seen as a whole. And any typical judge of character would quickly jump to conclusions over the characters from page 1. But the author’s beauty lies in the weaving of the tale, developing a small spark into a readable 300 pages. An acceptable tale of love, and the feel of loss is fine in a story for light read. But if people look to gather something or expect some miracle, the book only gives a sour aftertaste. The good guy is bad, bad is the new good. Remove sensibilities from the bit of the story to read it without a sigh. After all, there is only so much that can be expanded to a 300 page novel. This is the sort of book that you get tired in about the first fifty pages but still plough on in the hopes of finding something and understand the plot somehow. So read away, enjoy. But go for it one time, expecting a movie that gains a 43% in rotten tomatoes rating. WHAT I LIKED: The realistic story line. The author only says what is really happening. WHAT COULD HAVE BEEN BETTER: Predictable story line, self sympathising narrator who tries to justify actions. VERDICT: Go for it if you like the author. ABOUT THE AUTHOR: Chetan Bhagat (born 22 April 1974), is an Indian author, columnist, and speaker. Bhagat is the author of bestselling novels, Five Point Someone (2004), One Night @ the Call Center (2005), The 3 Mistakes of My Life (2008), 2 States (2009), Revolution 2020 (2011), and What Young India Wants (2012). All the books have remained bestsellers since their release and three have inspired Bollywood films (including the hit films 3 Idiots and Kai Po Che!). In 2008, The New York Times called Bhagat "the biggest selling English language novelist in India's history". Bhagat, an alumnus of Indian Institute of Technology (IIT) Delhi and Indian Institute of Management Ahmedabad, is seen more as a youth icon than as an author. Time magazine named him as one of the 100 Most Influential People in the World. Bhagat writes op-ed columns for popular English and Hindi newspapers, including the The Times of India and Dainik Bhaskar, focusing on youth, career and issues based on national development. Bhagat voices his opinion frequently at leading events. He quit his investment banking career in 2009, to focus on writing. HOW I GOT THIS BOOK: The writer mailed the book in request for a review. Kidnapping, Ex-Con Uncle, Criminal masterminds. These three words in the summary of the book made me go for it. My kind of book really. One prisoner leads to some equal rouge outside prison who then washes his hands off and points to another criminal, who finally points to the original bad guy. Our narrator “O” takes matter into his own hands in spite of the police involved and follows that criminal link to take down the bad guy finally and get back his kidnapped niece. This is the story line put real blunt sans the twists that are actually present in the book. But then, if you pick this book expecting melodramatic twists or strategic turns, you are sure to be disappointed. The writer, Dustin Stevens has used very simple language and has followed a very mellow style of narration. No frills attached. Just bang on to the point. Yet somehow he manages to convey all sorts of emotions ranging from that protective instinct of a brother to the innocence of a child. When a book involves kidnapping of a child, writers tend to make it thoroughly dramatic. At times they go overboard. But thankfully that didn't happen with this book. A bit of a drama is okay. But overdoing drama kills of the suspense element. One other thing which I loved about the was that, the characters weren't exactly complicated. The plot certainly was fast paced but not too fast making the readers lose track of what exactly happens. There was only one thing I didn't exactly like. The chain of criminals. One leading to another is fine. But one leading to another leading to another isn't exactly “interesting”. When the third criminal came, I sort of became weary. I just wondered of this one was going to lead to another. Nevertheless, it was worth the read for someone like me who can't just get enough of thrillers. VERDICT: It's definitely a book to read if you like reading thrillers. He originally hales from the midwest, grew up in the heart of farm country, and still considers it, along with West Tennessee, his co-home. Between the two, he has a firm belief that football is the greatest of all past-times; sweet tea is really the only acceptable beverage for any occasion, there is not an event on earth that either gym shorts or boots can't be worn to, and that Dairy Queen is the best restaurant on the planet. Further, southern accents are a highly likeable feature on most everybody, English bulldogs sit atop the critter hierarchy, and there is absolutely nothing wrong with a Saturday night spent catfishing at the lake. Since leaving the midwest he has been to college in New England, grad school in the Rockies, and lived in over a dozen different cities ranging from DC to Honolulu along the way. Each and every one of these experiences has shaped him to who he is at this point, a fact that he hopes is expressed in his writing. HOW I GOT THIS BOOK: A well thumbed, well recommended paperback dating back to the early nineties arrived to me from a neighbour. Romance was never my favourite genre. And if I do take up a book of this genre, it has to come with heavy recommendations, real moving stories and, you know, the works. This book did come with those. I was handed a really well-worn copy of the book which had seen many living rooms and many tears of joy, sadness, poignant reflections, etc. Given a slightly rainy weather and a rebellious ‘Why not try romance?’ attitude, I picked this book up. And to say that this book was not living up to its expectations would be wrong. What did I expect in a romance novel? Should there be sparkling fight scenes or historical facts that will blow your mind? This book will give you neither. Instead, this book is like a slow poetry. A lonely farm wife spends her days in an amicable neighbourhood. All is settled and well for her. In comes the enigmatic photographer, a man who is mildly poetic, much like a slow verse that is hard to understand, and its very beauty lies in that. You will enjoy the book if you like rainy evenings, hot teas and calm rooms with only the book for company. Francesca Johnson, a lonely farm wife finds herself attracted to the guy who can make her girly Italian dreams come true. He is the very embodiment of the twilight dreams she had as a girl. Robert Kincaid was to her what her husband could never be. When he arrives at her doorstep asking for directions, she finds herself drawn to him. Before long, the two strangers bond with cooking supper, candlelight dinner, and slow dances progressing to the bedroom. At 45, romance blossoms for Francesca towards the 52 year old wildlife photographer who is feeling too confined by the bland everyday life. Inside the graceful gazelle is a stalking panther that is breaking out of his norm when he finds this lonely farm wife who has intelligence hidden beside the calm easy going exterior. The plain evening turns into something magical and before long, the week of his work in Iowa gets over and finally it’s time for Robert to leave. And he offers to take her away from her life and just go into the western sunset. But Francesca refuses. This is a story that takes place in the sixties, and the farm wife, though tempted by the offer, declines as the images of her loving husband, kids comes in front of her. Francesca doesn’t want her kids to be shamed in the small town due to her selfishness. She braves the bittersweet romance instead of a shameful and selfish exit. There comes a time when she wants to rush out towards him, but the moments pass and she pours out all her feelings into a letter for her kids, asking them not to judge her for what she has done. WHAT I LIKED: The theme, slow movement of the story, poetic beauty. WHAT COULD HAVE BEEN BETTER: Too slow paced, like the good old sixties, not quite suited for the modern sensibilities. Robert James Waller (b. August 1, 1939, Rockford, Iowa) is an American author, also known for his work as a photographer and musician. Waller received his BA ('62) and MA ('64) from University of Northern Iowa (then known as Iowa State Teachers College). He received his PhD in business from the Kelley School of Business at Indiana University Bloomington in 1968. Later that year he returned to UNI and began teaching management and economics, and in 1977 became a full professor. He became dean of the College of Business in 1980 and retired from that position in 1986. He made a "seven figure" donation to Indiana University. Several of his books have been on the New York Times bestseller list including 1992's The Bridges of Madison County which was the top best-seller in 1993. Both that novel and his 1995 novel, Puerto Vallarta Squeeze, have been made into motion pictures. Waller currently resides in Texas.